Estrogen therapy side effects are not very common when a patient works with a clinic like Greenberg Health, but they can occur. The right clinic that provides everything that the client will need (as outlined by the US government) for a safe and effective treatment program is how to avoid side effects from estrogen therapy. Occasionally issues arise during treatment and we like to educate our patients as to what those can be. Being knowledgeable about estrogen replacement therapy side effects will make for a better and safer experience. What does a clinic need to provide to avoid estrogen hormone therapy side effects? Clinics should provide an initial free consultation for each patient. This will be a time to discuss (between patient and expert clinical advisor) one on one the patient’s symptoms, needs, goals and what ERT can and cannot do. Patients can ask questions and bring up their concerns. This is the time they can determine if they want to continue forward with therapy. Clinical advisors should be fully trained in estrogen replacement therapy in general and know the benefits and side effects. Doctors should all be fully trained and licensed in the field of endocrinology or a closely related medical field. They should have experience and know how to read test results, diagnose and prescribe correctly. Testing must be mandatory. This will involve blood testing to see if estrogen levels are low and a physical exam and medical history to see if a patient in is otherwise good enough health for ERT. Doctors will provide medical supervision throughout the entire course of therapy. Clinical advisors will be available for patients during all normal business hours. They should be kind, caring and compassionate towards patient needs. They will understand that this is a very difficult time a person’s life. They will provide information, education and support. The medications used will only be of the highest quality. The injections used will be authentic and manufactured in the USA. These are ways that a clinic can to help to avoid any side effects of estrogen replacement therapy from occurring. There are also ways that a patient can help themselves to stay safe from harm during treatment of this kind. There are many ways a patient can avoid estrogen therapy side effects. Firstly, they must always make sure to work with a reputable ERT clinic within the United States. The clinic should have positive reviews and a successful track record. The center should be well known by patients and other professionals within the medical field. A patient must also be sure to follow all directives given to him or her by the clinic. This includes cooperating with the testing process and getting their blood work and physical exam completed. 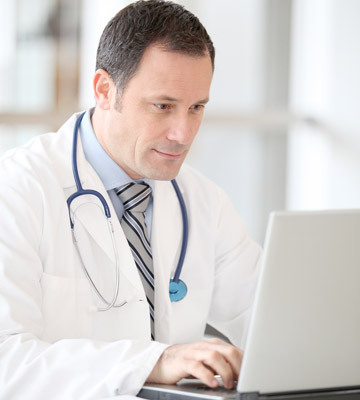 From home or any computer, they can fill out the medical history form that is necessary for providing complete medical information. An advisor from the clinic should set up the face to face appointment for the patient. It will be with a center in the client’s home town. When medications are shipped to a patient, he or she should always scrutinize the vials looking for any foreign particles are murky solution. If anything does not seem right, the medication should not be used, but thrown away immediately. Eating. What you put in your mouth is as important as anything else. Eating nutritious foods such as ones that are high in protein and low in bad fats, high in omega-3 fatty acids and low in refined sugars is positive. Taking in green leafy vegetables and fresh fruits is a great way to help all systems of the body. This includes the endocrine system, which manufactures estrogen. Exercising. A person should make sure to exercise at least 20 minutes on a daily basis. This is the recommended minimum. Some experts say that exercising three times a week is plenty; however, keeping the body in motion and the heart pumping more often will help to increase hormone production and will help to avoid any possible side effects of estrogen therapy. Stress. Keeping stress levels low is important for overall complete health. It will also help the body to produce the right amount of hormone necessary for good health. Sleeping. Making sure to sleep at least eight hours per night, according to the experts is optimal. Sleep helps the body to replenish and restore cells, tissues and hormones. It helps in healing as well. Smoking. Smoking is one of the most dangerous and toxic habits which will contaminate every system and organ within the human body. Smoking should be immediately eliminated. Alcoholic consumption. Drinking alcoholic beverages in moderation is best. Just by following these simple lifestyle habits, a person can increase their body’s health, strength and mortality. All it takes is a commitment to one’s own well being and the understanding that treating yourself well will lead to a happier and healthier existence.